Due October 19, the 5CD/DVD Super Deluxe Edition opens with a disc of acoustic versions of material from the band's recent studio albums, 2008’s "Good To Be Bad" and 2011’s "Forevermore"; disc two presents the North American debut of the 1997 unplugged package “Starkers In Tokyo” (previously issued exclusively in Japan) – which sees frontman David Coverdale and guitarist Adrian Vandenberg deliver songs from throughout the vocalist’s career; discs three and four offer more live acoustic sets from several years; and, disc five features more than two dozen of Coverdale's unreleased, acoustic demos. "Some of my favorite love songs are on disc one of this collection… and I LOVE, love songs," says Coverdale. "Though reluctant at first to go 'unzipped' in public, the shows I did with Adrian Vandenberg in 1997, and then Doug Aldrich in 2006, were incredibly memorable… primarily because it gave me an opportunity to be 'at one' with the crowd… some songs ask for a softer touch… and those are the songs we have here in this collection. "These songs are some of the most personal I've been involved with through my almost five decades as a professional musician, singer and composer…This is me at my most unguarded… innocent… writing, as I still do, for the fun… the expression… the poetry… all LOVE songs." 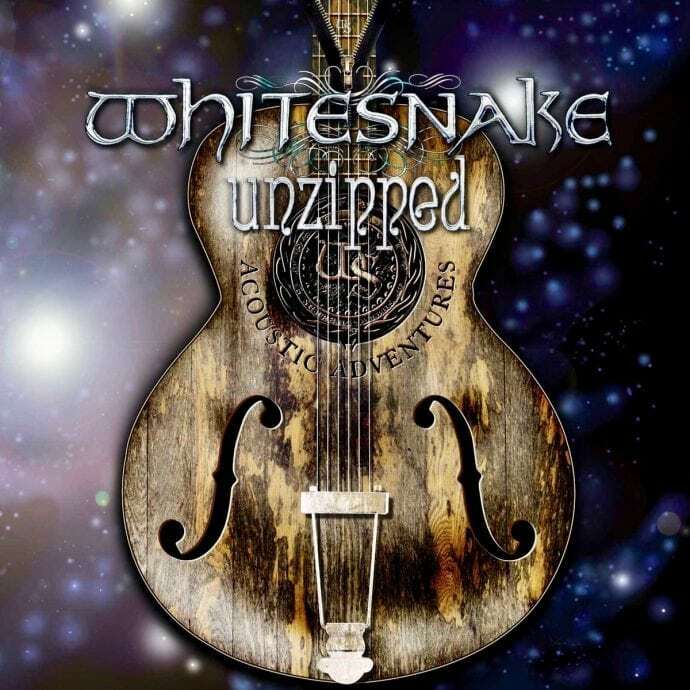 Whitesnake, who just wrapped up a North American tour with Foreigner, will play a pair of US shows this weekend in Scottsdale, AZ and Las Vegas, NV.